Thus far, I am 9 for 9 on my training runs in this Avengers Super Heroes Half Marathon training cycle! That’s the good news. The bad news is that my training runs this week were a struggle. The hard part of training is being consistent. First, consistency needs to happen in merely making every training run. Then, you need to find somewhat consistent results…tending upward (faster, longer runs). The second part doesn’t happen unless you get the first part right. So, I can be proud of the fact that I’ve made every run distance, exactly as the calendar dictates, for the first three weeks. However, this week, the results were mixed. On Tuesday, I got out for another 4 miles on the road. With better air quality, I was happy to be running outside again! 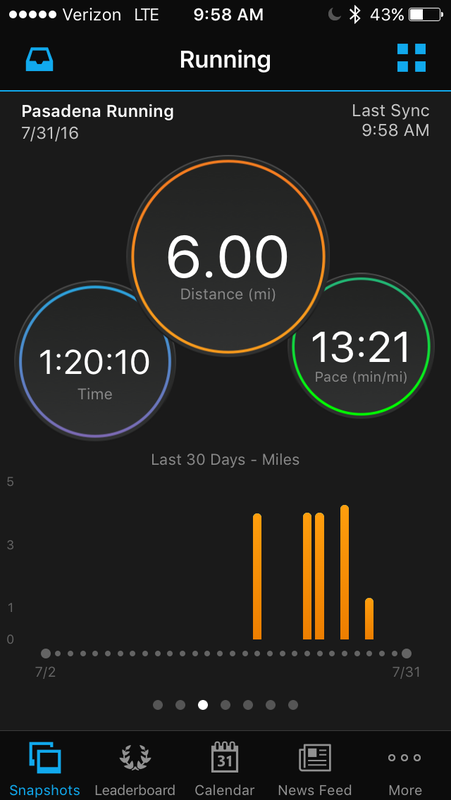 Here’s the thing I knew going into this run…I couldn’t compare it with the runs I did the previous week on the treadmill. After all, treadmill running and running on the street are two different things. Both can be beneficial in training for a long distance race. But, to compare the results with the two wouldn’t be a good thing for me to do. One week earlier, I had run the 4 mile route around my apartment with a 30/90 run/walk ratio in mile 1. 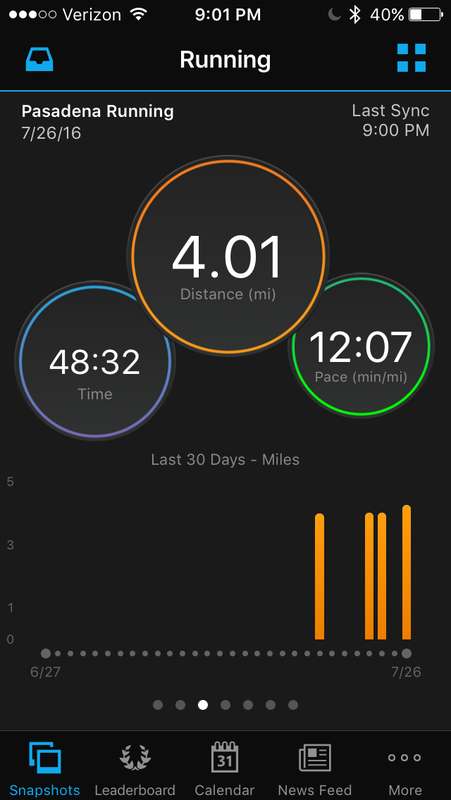 Then, I switched to a run 30/walk 60 seconds intervals the rest of the way (even though I intended to switch back to the 90 walk breaks in mile 4). Since I made the switch, it’s now what I’m going to do for a while. I’m working my way towards a run 45/walk 45 seconds intervals. One of my problems this week has been getting adjusted to the Garmin Vivoactive GPS Watch with HR Monitor. I started off this run alright. It was pretty typical. However, at around the 4 minute mark, I accidentally ended my workout. I had no idea where I was in the workout (distance wise). I had paused the run at a traffic light and was attempting to get it going again once the light turned green. So, I crossed the intersection and re-started the run. I thought I was at around a quarter-mile. So, initially, I thought I’d just run the remaining 3.75 miles and figure out what I had accomplished later. However, as I got going again, my time for mile 1 was looking really good. I finished mile 1 (after the re-start) in 11:56! I was stoked to have a first mile under 12 minutes. I then made the switch to the 60 second walk breaks and kept going. Mile 2 is usually my fastest mile as it has the greatest elevation loss. This run was no different…11:45! It was at this point where I thought I’d just finish all 4 miles (after the re-start) and consider the first part a warm-up. Mile 3 went pretty well too! However, the end of mile 3 was where mile 4 usually starts. So, it was slower than it might have been otherwise. The run/walk intervals were feeling pretty good. Even though I had more incline at the end of mile 3 than usual, I finished mile three in 12:07. As I started mile 4, I could feel myself tiring out a little bit. The results showed it. The first 0.7 of that mile are where I typically lose time. This was no different. 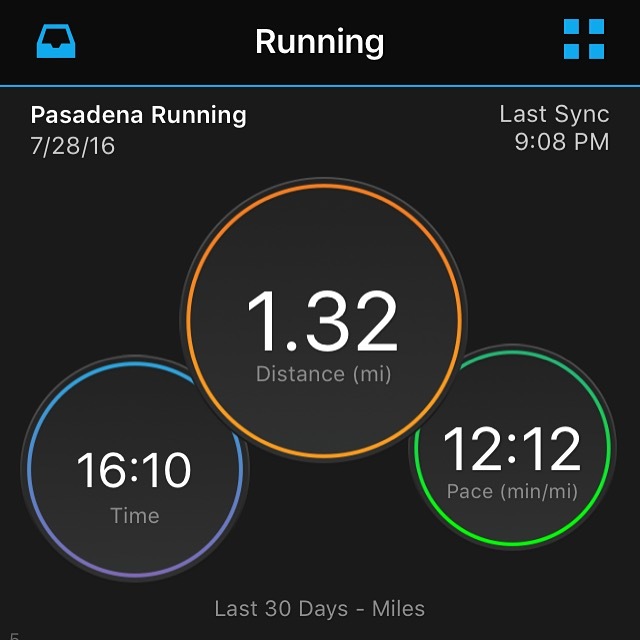 I was able to make up some time in the final 0.3 miles to keep the time respectable…12:41. I ended at 48:32! It was my first outside 4 mile run under 49 minutes in quite some time! Here’s what the Garmin Connect app said after the run. I’ve had a hard time getting pics of the watch. I love that the watch can sync with my phone through Blue Tooth technology! Thursday was the most frustrating run of the week. More technological failures on this run. This time, I got in 1.32 miles before accidentally hitting the stop workout button on the watch. I chose not to panic. I looked at how much distance I’d covered and how much time. Although, I decided not to try to keep the time elapsed in my brain while I ran. Too much to think about. So, I started fresh with a new time. Although, this time, I’d only do the final 2.70 miles I needed (yes, I do realize that’s 0.02 more than I needed). I could then, combine the final time and eventually figure out things like pacing. On this, run, I started off like the last one. Run 30 seconds, walk 90 seconds. That’s just going to be the way I go until I say otherwise. This run was more difficult. I was more tired and kind of didn’t want to run. I finished mile 1 in 12:17 That’s not a bad first mile for this route lately. I made the switch and started feeling better as I continued on. Mile 2 was proving to be a recovery mile. Unfortunately, I accidentally stopped the run at another traffic light. So, I kept going. My splits were slightly slower than the day before. But, they were still pretty decent. I could tell, though, in mile 3 that this run would end up slower than Tuesday. But, I soldiered on and decided I’d just have to see what happened. Unfortunately, I do not have the splits for the remaining 2.70 miles. Why? Once I got to the end, I don’t know how I did it. But, as I was stopping the run, I hit something that decided to erase the run. Let me tell you…I was mad. I had some vague idea of what the time read when I stopped. I think I was at 32:36 at 2.70 miles. So, when I got back up to the apartment, I plugged in the numbers to get what I thought I did. The verdict? 48:46. That’s not too bad. I was only 14 seconds slower. So, I was okay with that. I hate the technological fail, though. Now, the plan I wanted to do was to run 6 miles at the Rose Bowl on Saturday and see if I could get into the gym for a 4 x 400 on the treadmill. Well, the boy was awake every 3 hours from Friday night through Saturday morning. So, I was feeling totally wiped when I got up on Saturday. That meant, I’d push my 6 miles to Sunday. I’m usually closer to 12 minutes in mile 1 than this. So, right from mile 1, I was out of it. 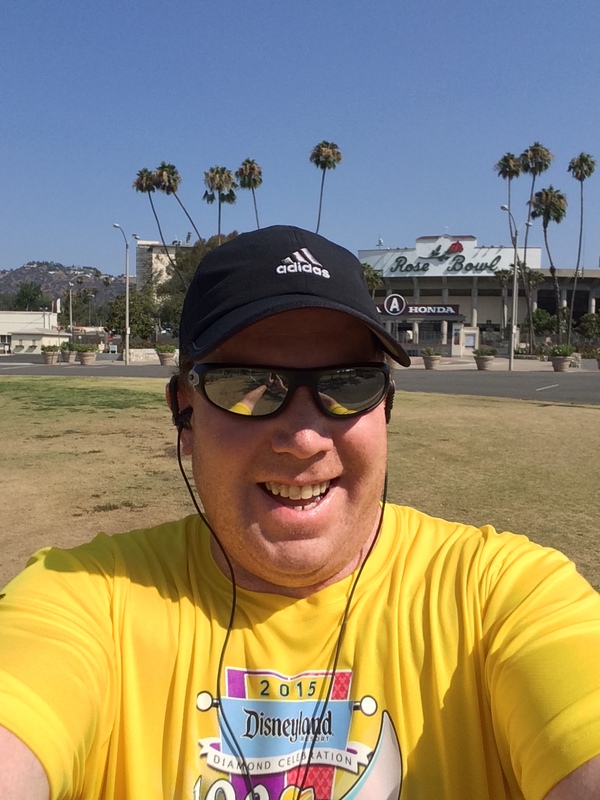 I was so bummed by my first mile, that it hurt me in mile 2. Usually, mile 2 is better than mile 1 or at least the same. Not so this time. I don’t have some great story for this run. It is what it is. In another technological fail, I thought I had stopped this run right at 6 miles. However, I didn’t and the clock continued to run past it for a few seconds. I did actually cross 6 miles right at 1:20:00. This time simply won’t do at the Disneyland 10K. While I was bummed with one of my worst 6 miles over this same route, I take solace in the fact that it was ONE run on a rather warm day. So, where does this leave me for the Disneyland 10K? Well, it’s a bit of a blow for right now. If I had finished the 6 miles in 1:15:00 or somewhere around that, I’d feel really good about my chances to PR at that race. Even though I didn’t have that time, it’s still a race that’s just under 5 weeks away. So, there’s time to improve. Also, I know that I’ll be running in cooler weather. The Inaugural Disneyland 10K aside, the other two have had decent running conditions. Or at least, better than I ran in on Sunday. That could account for a 2 – 3 minute improvement. Add to this that I have 2 speed workouts (the first of which is this Saturday…YIKES!) 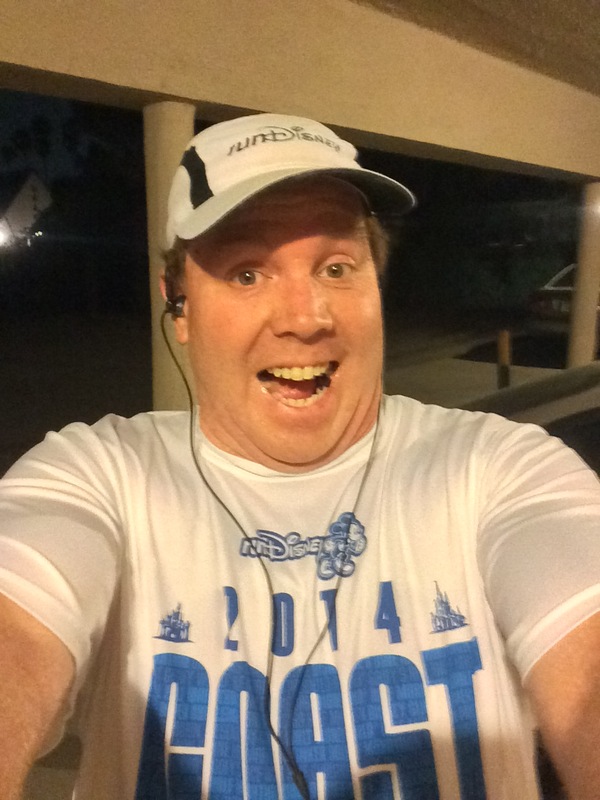 and a long run of 7 miles and 9 miles before the Disneyland 10K. The 9 mile run will be the last test. So, for now, I shouldn’t panic. Yes, I should realize that I might not be in condition to get that 10K PR at the Disneyland 10K. But, I will keep training as if the goal remains. I’m going to wait and see how that 9 mile run goes before making any final goals for the Disneyland 10K. They say that slow runs in the summer lead to fall PR’s. I hope they’re right. Even if I don’t PR the Disneyland 10K, it’s okay. My first major goal is to PR the Avengers Super Heroes Half Marathon in November. There’s still a lot of work to do. Bring on Week 4! 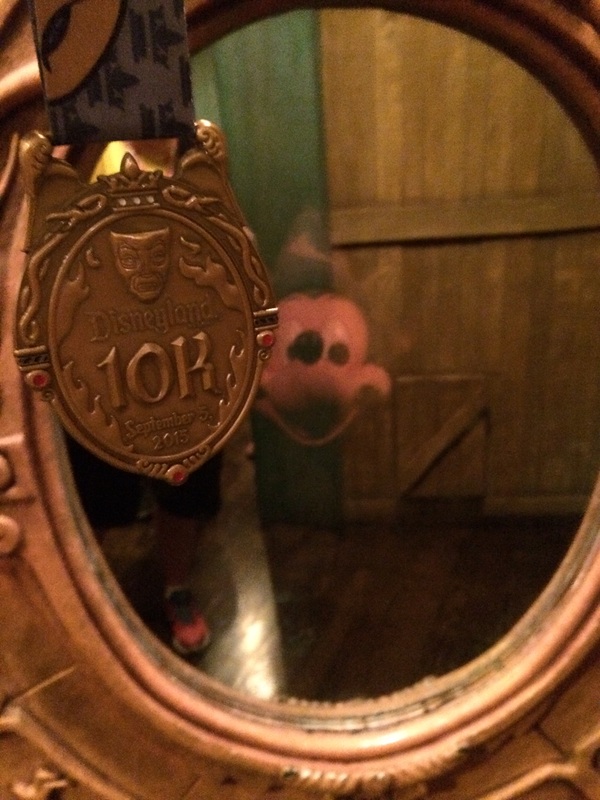 The runDisney Medal Reveals Continue with the 5K Medals!